The Command Palette is where you go to find every button and just about any action in Media Composer. 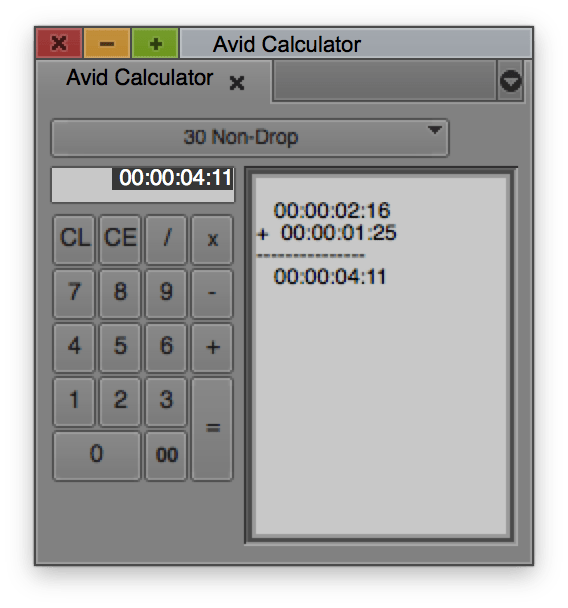 Here’s a post I wrote for Avid (yes, that Avid) about how to use the Command Palette to customize keyboard shortcuts. Can you tell I really like shortcuts? These are the Source and Record Monitors. This is where you go to set defaults for new media. If you have multiple drives hooked up your media can be created to any of them. 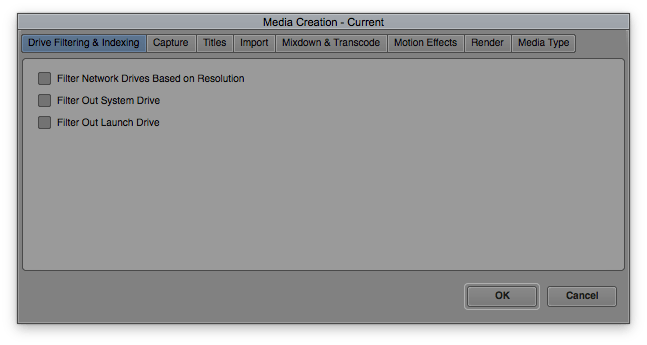 Standard operating procedure for me is right after launching Media Composer I open up Media Creation and set which hard drive I want to create media to. You can do some serious damage in the Console if you don’t know what you’re doing. Do not use it unless you are 100% certain you know what you’re entering. There’s a purpose for it but over the years I’ve only used it a handful of times (each time holding my breath). 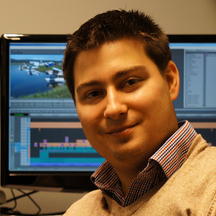 You don’t need to use the Console for 99.9% of video projects. Seriously, don’t use it unless you know what you’re doing. I miss capturing. 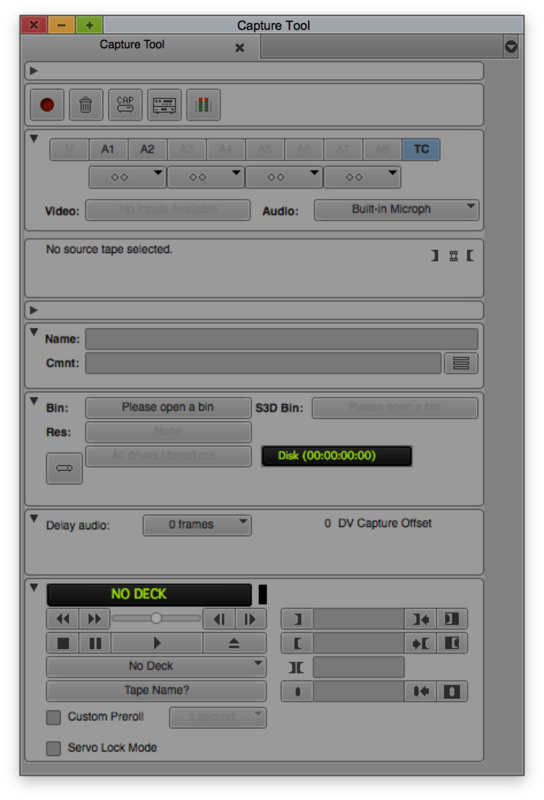 Capturing is when you use a deck to bring media into Media Composer. Today it’s almost a forgotten art form. Unless you have a deck, you probably will not need this. The Effect Palette is where you access all the available effects in Media Composer. 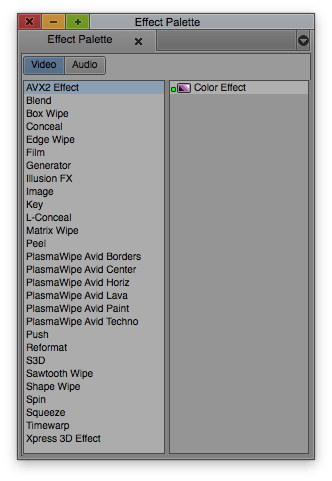 3D Warps, Timewarps, Paint Effects, Horizontal Wipes and a ton more are there. The Project window will always be open if a project is open. If you click the X in the Project window the project you’re in will close and you’ll be taken back to the project selector home screen. 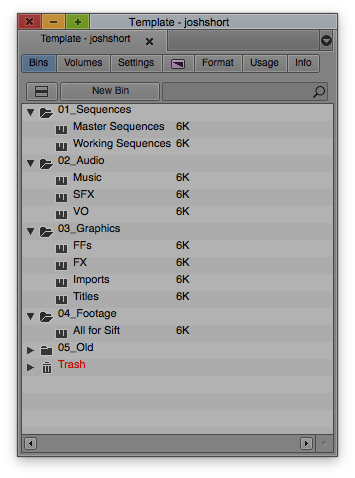 In the Project window you can access your Bins, adjust settings, get to the Effect Palette (I still like using the shortcut to bring it up in it’s own window better) and more. The Timeline is the lifeblood of your project. 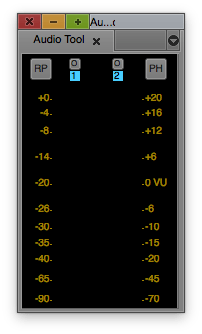 This shows what’s in the Source or Record Monitor. I wrote a post for Screenlight about how to customize your timeline. I highly recommend it! Read it here. That’s it for Lesson 1! Click here to go to Lesson 2 or click here to be taken to the information page with all the lessons. 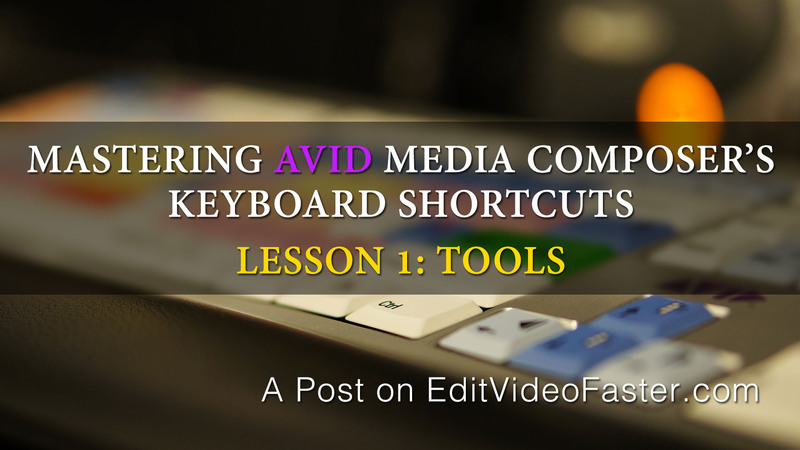 If you’re looking for a challenge and think you’re ready check out the Mastering Avid Media Composer’s Keyboard Shortcuts Exam. Are you a keyboard shortcut master? Any questions? Leave a comment below or go here to shoot me a private message.